BRYAN EATON/Staff photo. 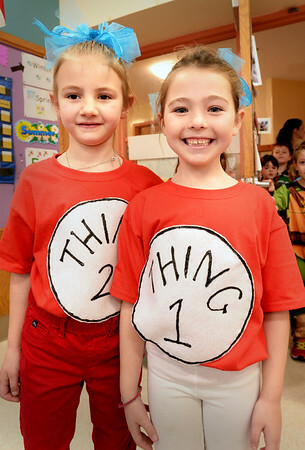 Alec Young, left, and Olivia Pullen, both 6, dressed up as Thing One and Thing Two, characters from the Dr. Seuss book "The Cat in the Hat." They were at Newbury Elementary School which celebrated Read Across America.